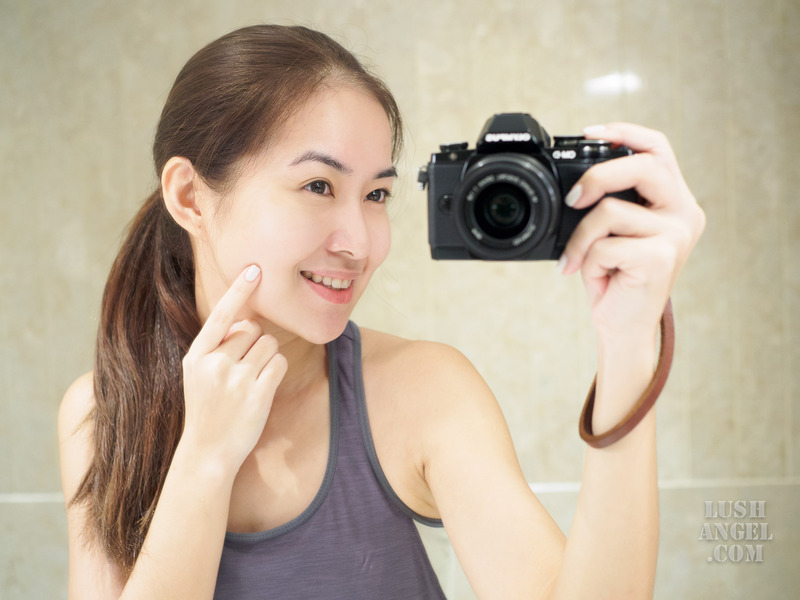 I believe I mentioned a couple of times here in my blog how oily my skin is. Just to give you an idea, my face starts to oil up in a matter of minutes when I do not apply any product on my face right after washing. Give it an hour and my face would like a frying pan. With my skin condition, I naturally shy away from heavy moisturizers. But aside from my extremely oily skin, I’ve been battling redness and occasional flaking on my nose area. Having oily and red skin is quite an odd skin condition, to be honest. The more common combination is dry and red skin. In my case though, the redness around my nose area is too noticeable that even makeup can’t cover it up completely. No matter how thinly or thickly I apply my foundation or concealer and whatever the brand is, the redness on my nose area will appear before my day ends. I learned to live with it though. 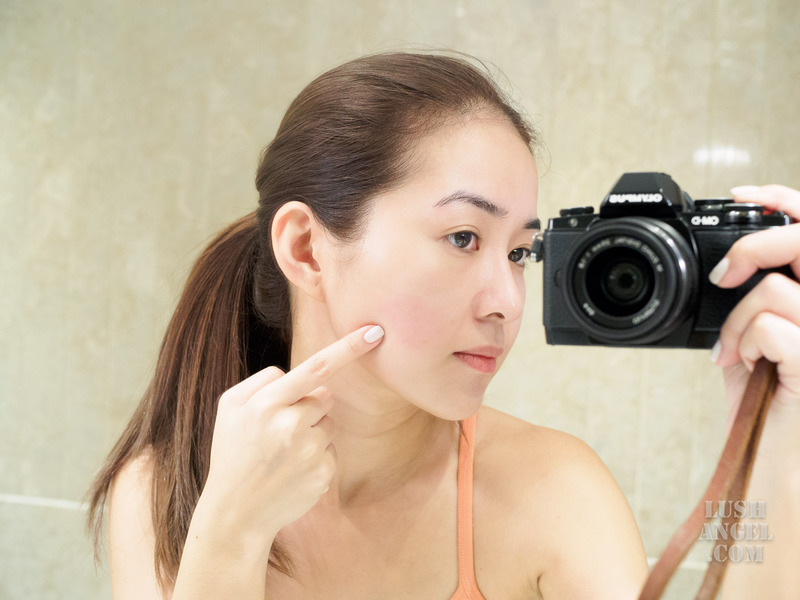 I tried a few products to hopefully stop the redness, but they didn’t become part of my daily skincare regimen. Probably I was too concerned with my oily skin condition that I never really gave much focus on the redness. This is the reason why I agreed to do the Physiogel Calming Relief Face Cream 14-Day Challenge. First of all, what is Physiogel Calming Relief Face Cream? It’s a facial moisturizer specifically formulated for dry, sensitive, redness-prone skin. Because of its Advanced PhysiogelBioMimic Technology, it promises immediate and long-lasting moisture relief and restores skin comfort for a healthy-looking complexion. It has no preservatives, perfumes, and colorants. And like all other Physiogel products, it’s non-comedogenic and hypoallergenic. Honestly, this is my first time to try Physiogel. I used to think that Physiogel has very thick, heavy-duty formulation considering their products focus on skin science solutions. I’ve heard a lot of good reviews on their products though, especially when it comes to dry skin. Well, I have to set aside my oily skin worries for a moment and address my redness so I went for the Physiogel Calming Relief Face Cream 14-Day Challenge. 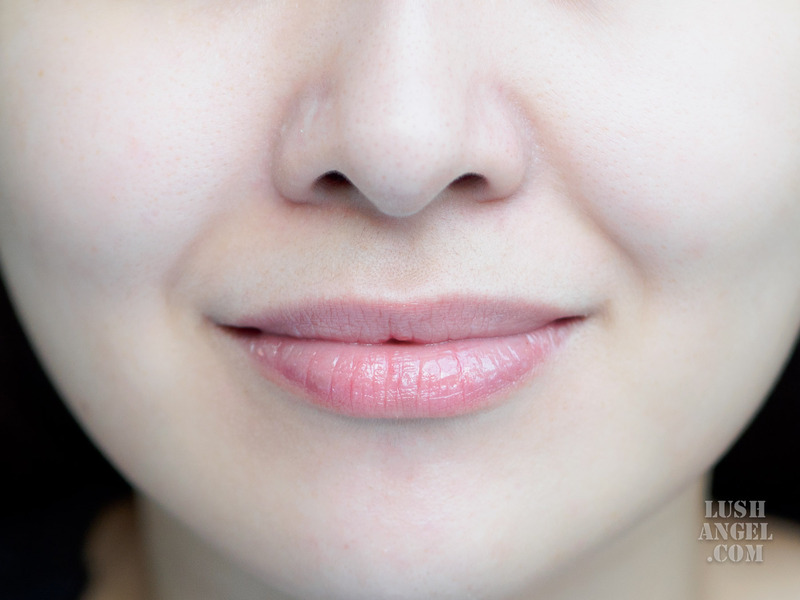 Besides, it’s also good to know if it would work for oily skin, even if it is specially formulated for dry skin. 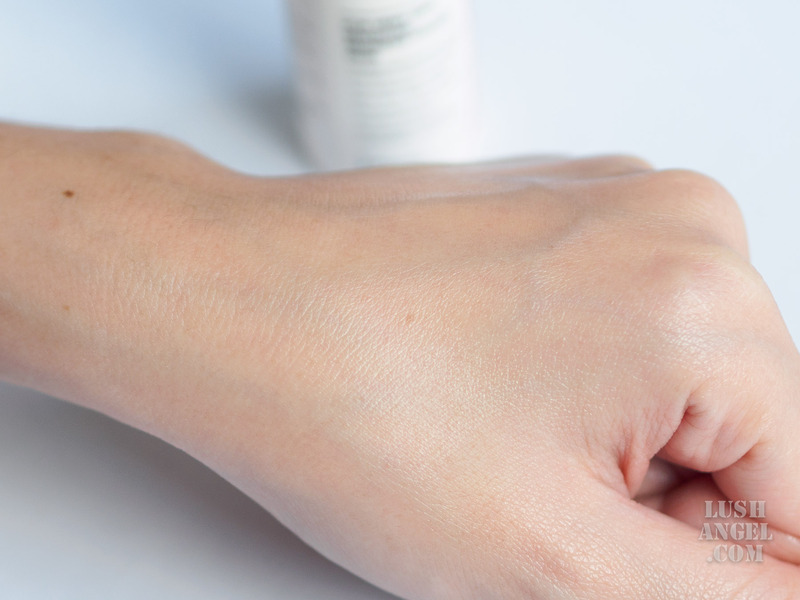 When I first lathered the cream on my hand, I found it a little too thick for my oily skin. This is why for days 1 to 3, I applied Physiogel Calming Relief Face Cream on my nose area only during the day and applied it full face at night. From Day 4 onwards, I started to use it all over my face both day and night (You’ll see later on why). Note that I still use my face serums and apply Physiogel Calming Relief Face Cream on top, acting as my moisturizer. Amazingly, Physiogel Calming Relief Face Cream did not make my skin oilier. It can be quite heavy at first but it feels lighter once the product is completely absorbed by the skin. I recommend not to apply too much of this product because with its formulation, a little goes a long way. Also, my skin usually breaks out when using thick face creams or moisturizers. I’m actually surprised that it did not clog my pores and I did not get pimples. Here’s my skin condition when I started the challenge. As mentioned earlier, from days 1 to 3, I applied Physiogel Calming Relief Face Cream on my nose area only during the day and applied it full face at night. I woke up with this huge red blotch on my face. My skin got irritated from something (could be the pillow from the hotel). 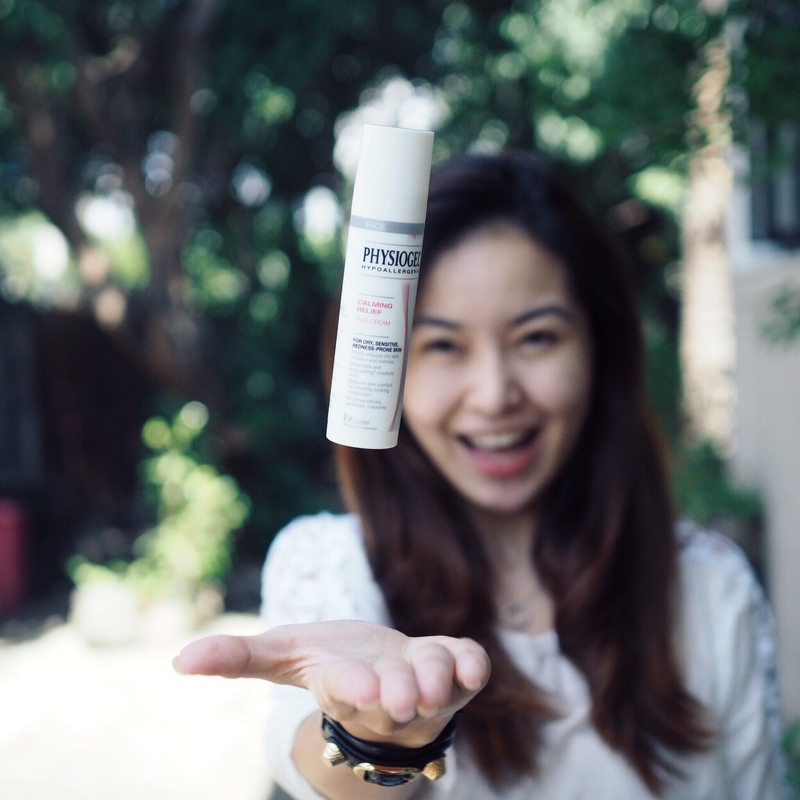 This led me to apply the Physiogel Calming Relief Face Cream all over my face – day and night. This is when I discovered that I could use product during the day without making my skin oilier than usual. 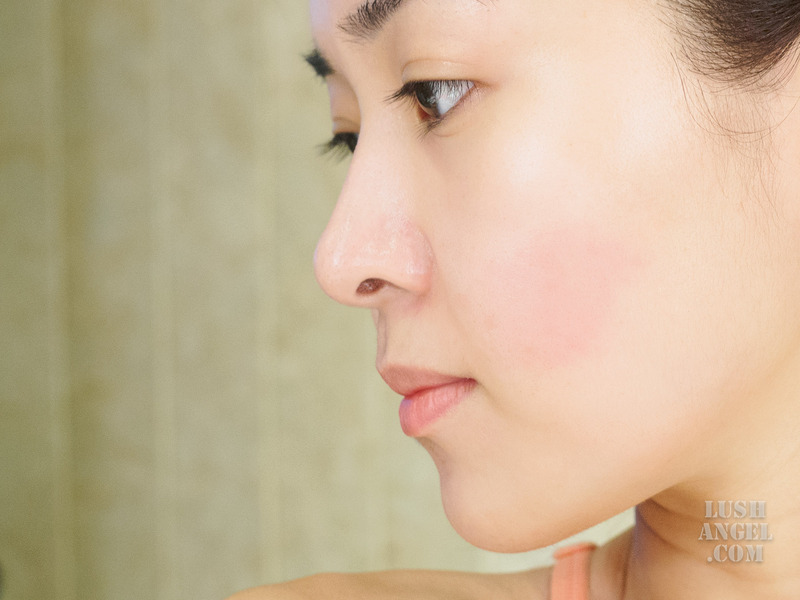 Nope, it is not a misplaced blush! It is skin irritation! Eeeek! Honestly, I didn’t expect the huge red blotch to be completely gone in just a few days. Whenever I get skin irritation or reaction, it usually takes a week or so for the redness to subside. Stay tuned for the results on my nose area as I’m about to finish my Physiogel Calming Relief Face Cream 14-day #FreeInMySkin challenge!